Home » Archives for Jonathan Lyman, Esq. 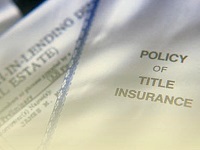 Will Your Title Insurance Policy Cover You When You Need it Most? Posted on March 7, 2012 by Jonathan Lyman, Esq. Are you certain your title insurance policy will cover you in the event you need it? Do you know what has been excepted from coverage on your last title insurance policy? Did you know that you might not be using the correct documents in order to ensure continued title insurance coverage on your properties? Learn how to properly read a title insurance policy and how title rates are calculated in Georgia. Join me, Attorney Jonathan F. Lyman and my partner Attorney Craig M. Halperin, of the law firm, Halperin Lyman, LLC, at the Atlanta REIA Main Meeting on Monday, March 12th at 5:30 PM. The information we will be presenting will not only help beginning investors to learn the legal side of the transactions they are conducting but is guaranteed to teach seasoned investors a new lesson or two as well. This is a definite “Do Not Miss” educational event for anyone involved in real estate investments.